I Love You Day is just around the corner. It is always regarded as one of the most romantic days of the year. BESTEK exactly has what you need to make the day special! 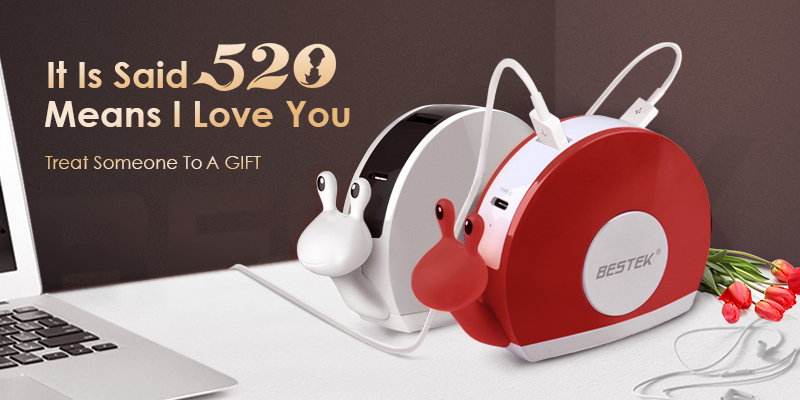 Five pairs of Snail USB chargers are prepared to award the people who can speak out their love bravely. Come to join us! Enter this "I Love You Day" Sweepstakes and keep your fingers crossed for a big win! Please note the giveaway is open only to U.S. residents. # What’s the secret to keep love fresh? # what’s the most unforgettable / touching moments in your memories? 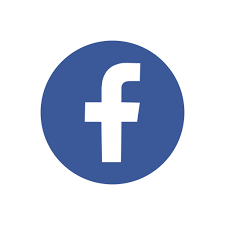 Big plus option: Invite your sweetheart to interact with you in comments below. 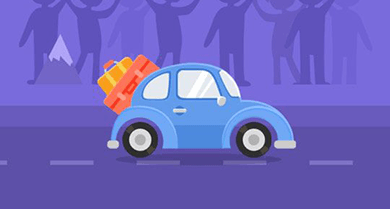 Step 2: Get bonus entries by completing simple tasks. (Share the post on Facebook with hash tag# BESTEK "I Love You Day" Sweepstakes). Step 3: Keep an eye on our Facebook page where we will announce the Five lucky winners! 2. Starts May 19th 0:00 PDT, ends May 21st 23:59 PDT. 3. Winners will be selected by BESTEK official (the most sincere, touching comment) on May 22nd, 2018. 4. One winner one pair of gifts. 5. Pls claim your gift before the May 24th. 6. Snail USB chargers with or without snail head designed. Gifts will be sent randomly. 8. BESTEK reserves the rights to the final interpretations. You have time until May 21st, 2018 at 23:59 PDT to participate, Good luck! We are happy to be able to announce the winner of 520 sweepstakes. Congratulates all winners! Pls contact us& claim your gift soon via support@bestekmall.com.